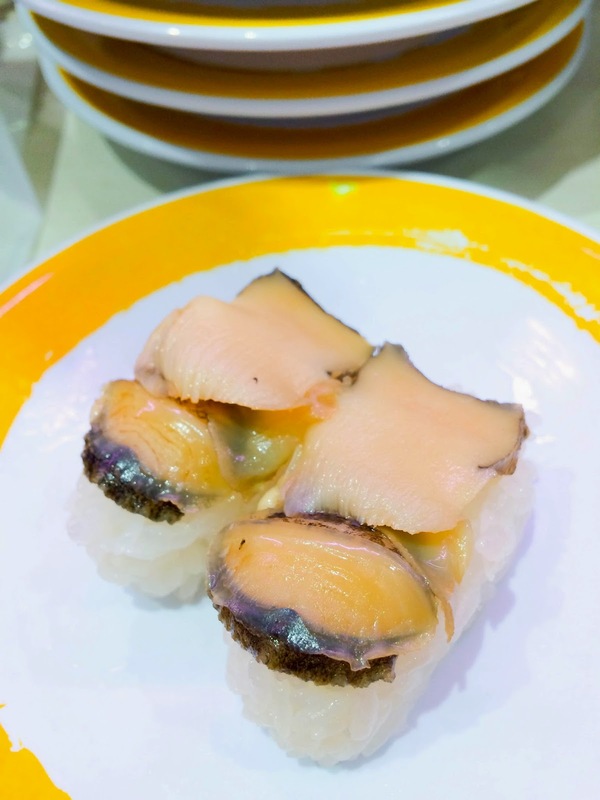 If you’ve been following my Japan trip blog posts, you would know that I had an incredible sushi experience at Tsukiji Fish Markets on my first day. 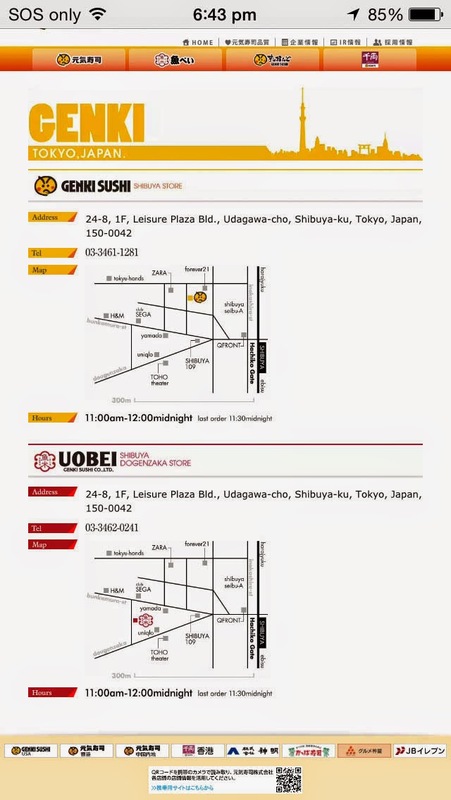 For my last dinner in Tokyo, I decided to go in the opposite direction. 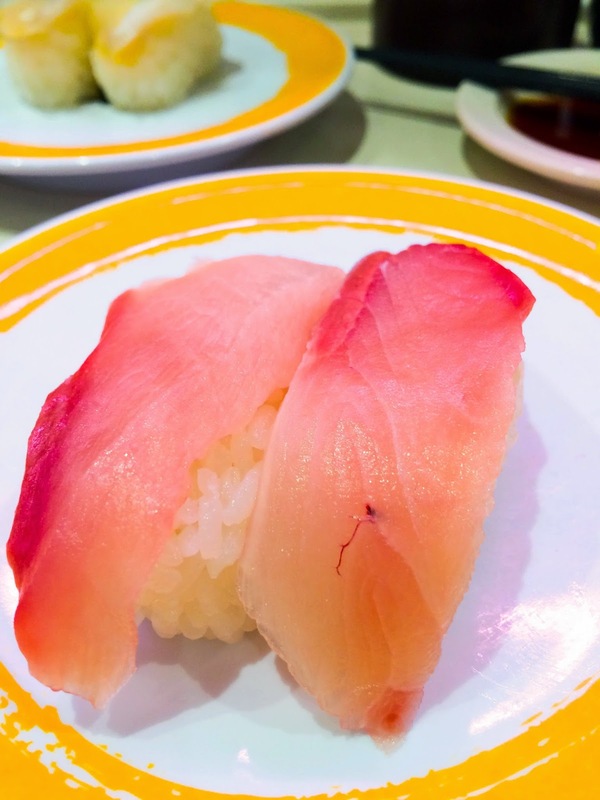 We’re talking about cheap, fast sushi trains. 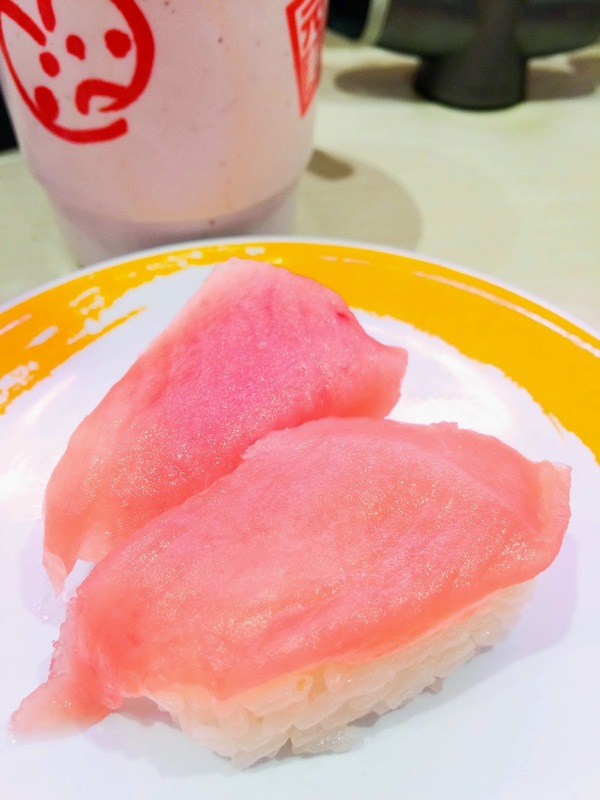 There’s several different sushi train franchises but I chose Genki Sushi because of their unique train system. 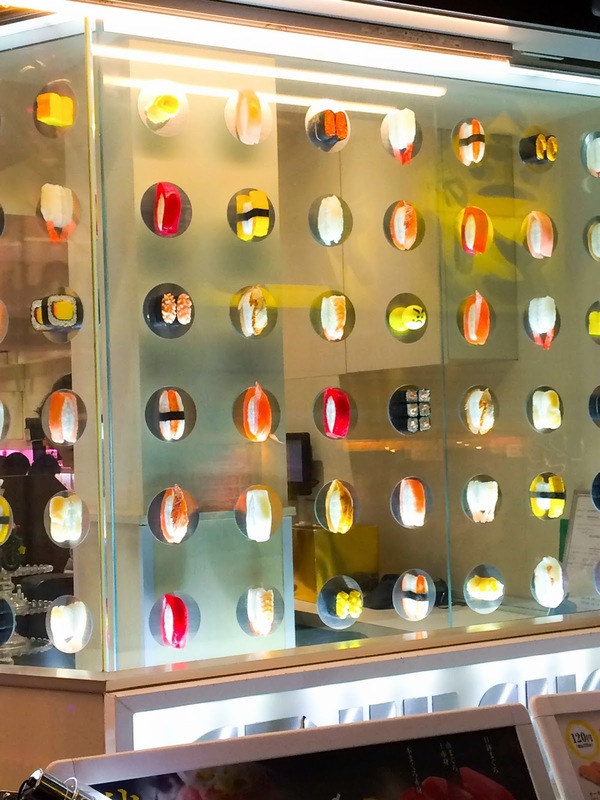 There are 3 separate train tracks at Genki Sushi, which means your sushi arrives right in front of you. 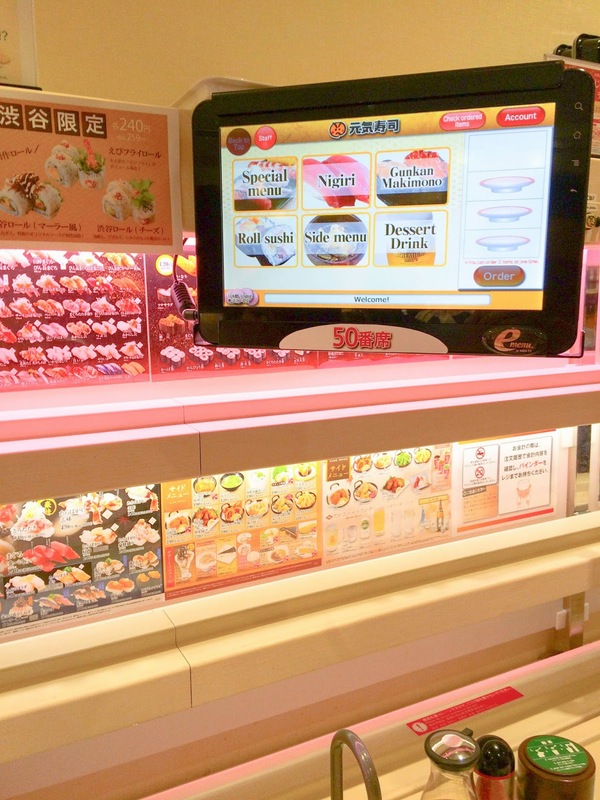 The system uses a touch screen, once you’ve ordered the sushi is placed on a train which hurtles towards your seat and stops right in front of it. 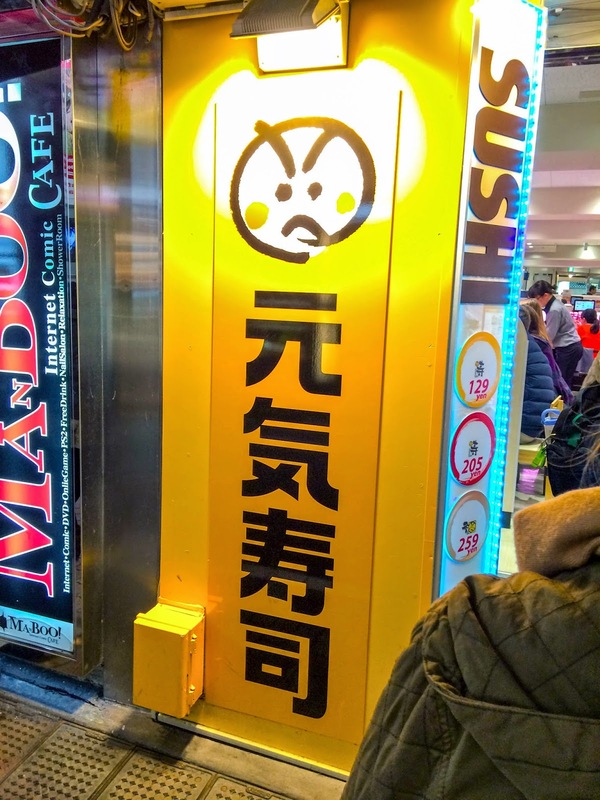 You then take your plate and hit a button (with an angry face) to send the train back to the kitchen! 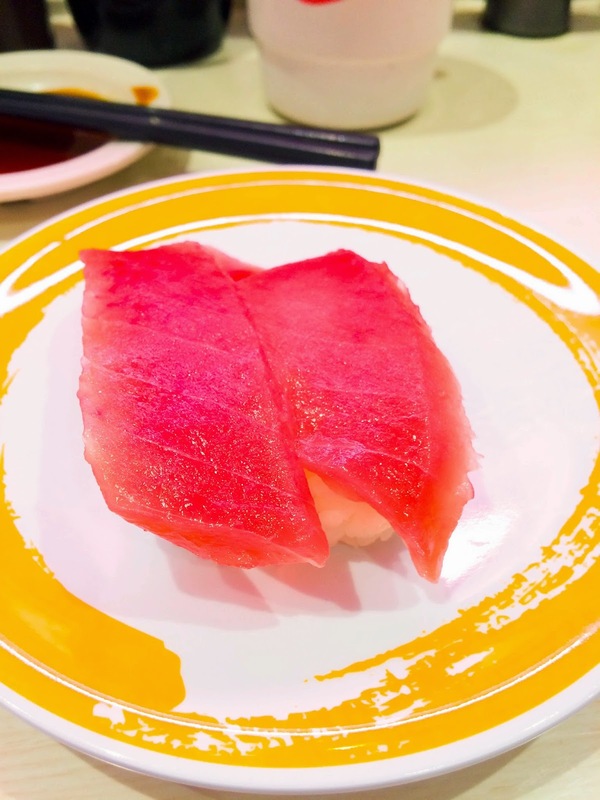 The cheapest yellow plate starts at ¥129, with more expensive dishes priced at ¥205 and ¥259. After I filled my free green tea and had a quick swipe through the menu, it was game time. My first order of the night was tuna. I didn’t expect good quality to be honest. 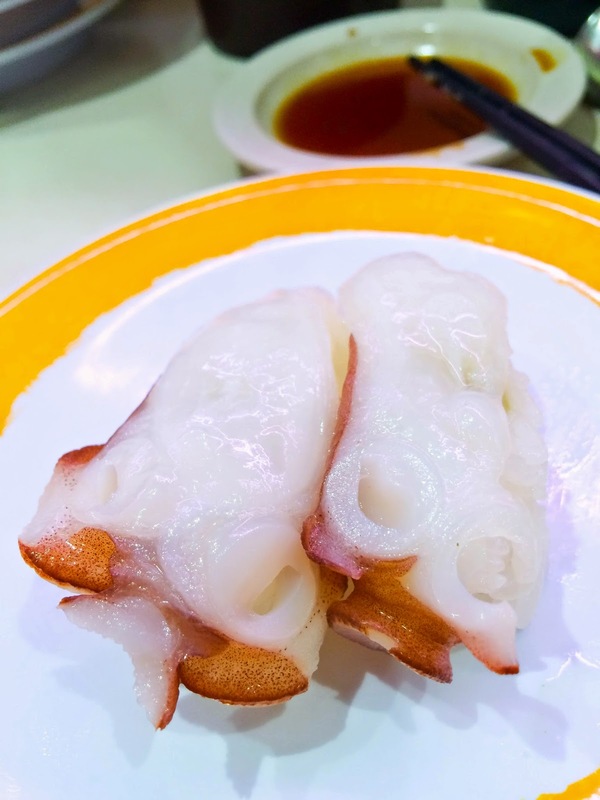 For the low price point of ¥129, it was actually decent! 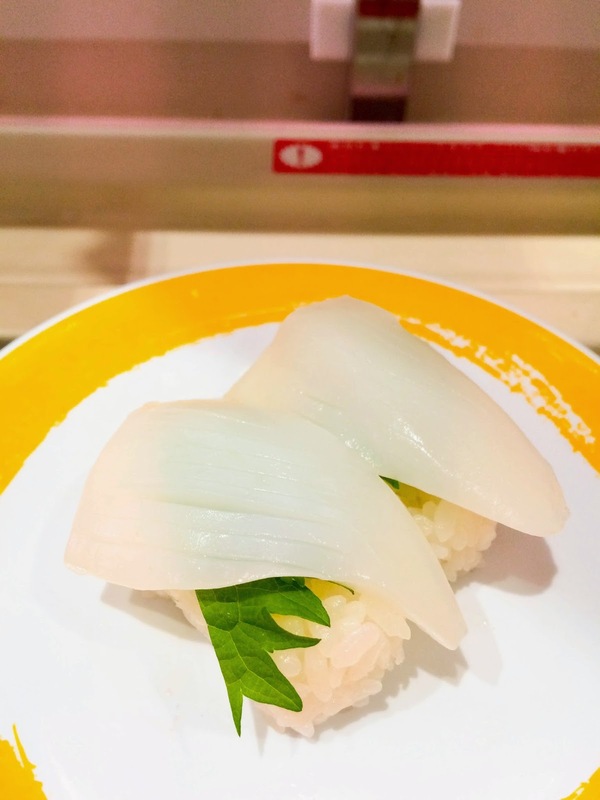 The squid nigiri was fresh and the shio leaf was a nice touch. Mentaiko sushi was overflowing with mentaiko! 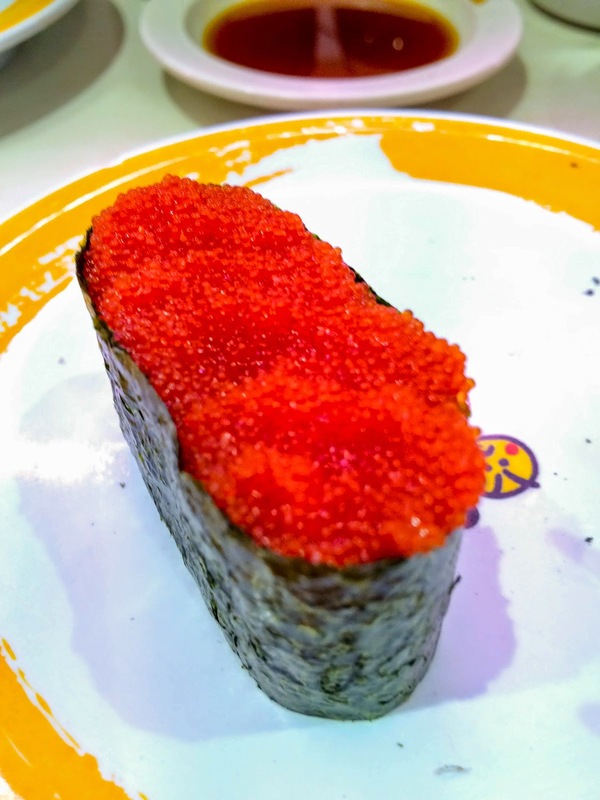 If you’ve never heard of mentaiko, it’s spicy cod roe. 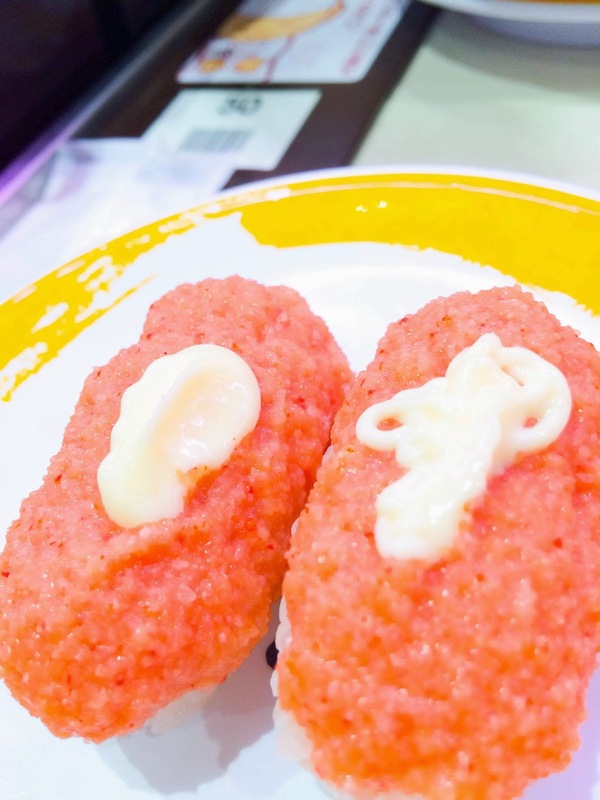 You’ll find it a number Japanese food such as rice balls and pasta. 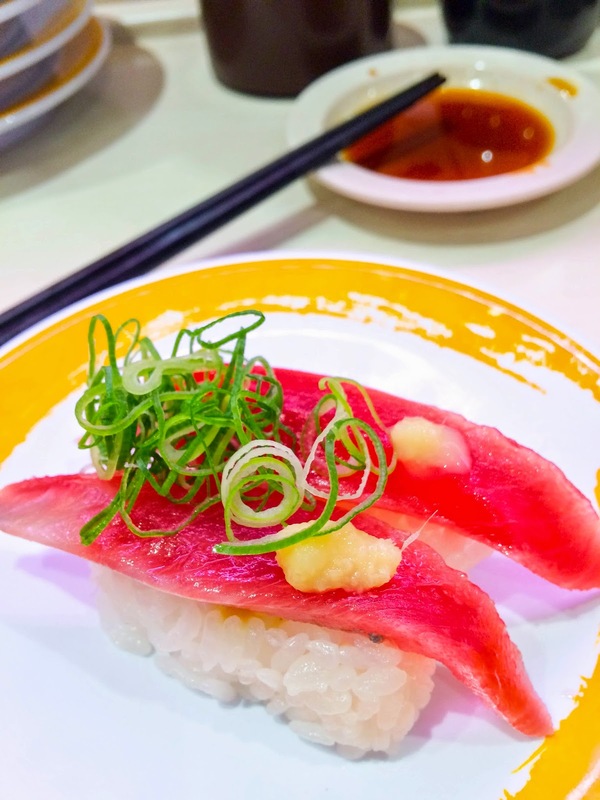 The Bonito Sushi was interesting as it was the first time I had tried bonito. 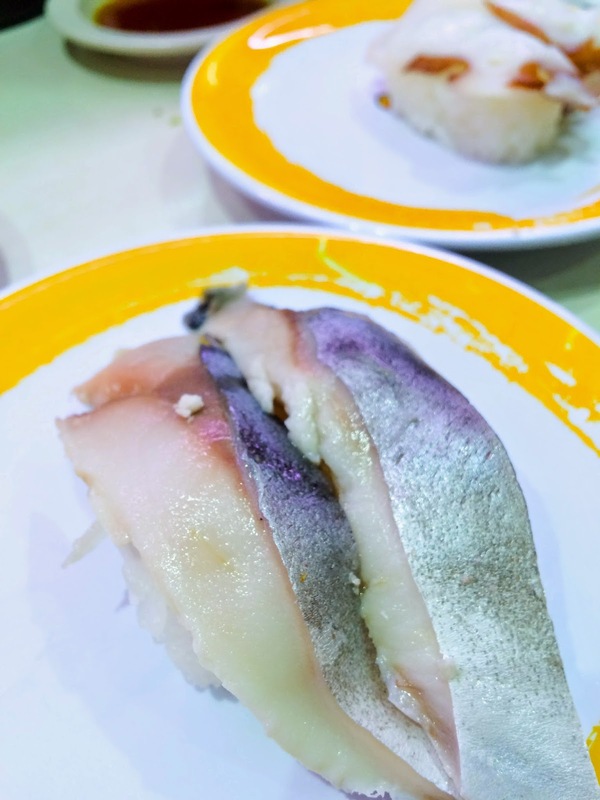 It’s an oily fish that is similar to tuna. 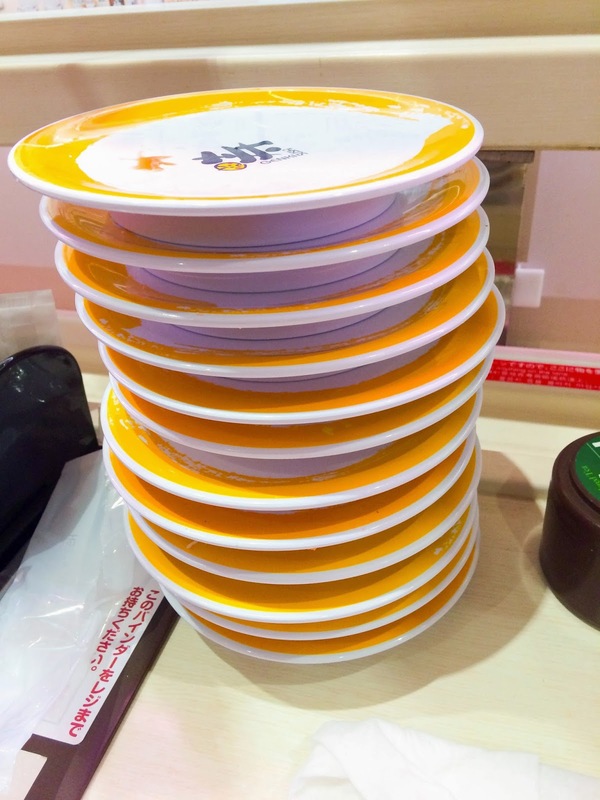 I ended up eating 12 plates which meant by total bill was only ¥1548! 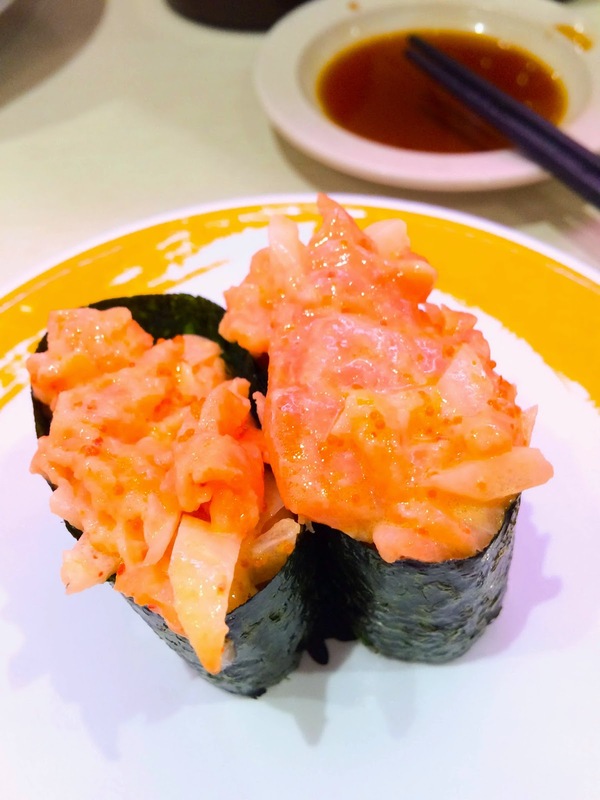 What a bargain, when most sushi train restaurants in Australia charge around $3. 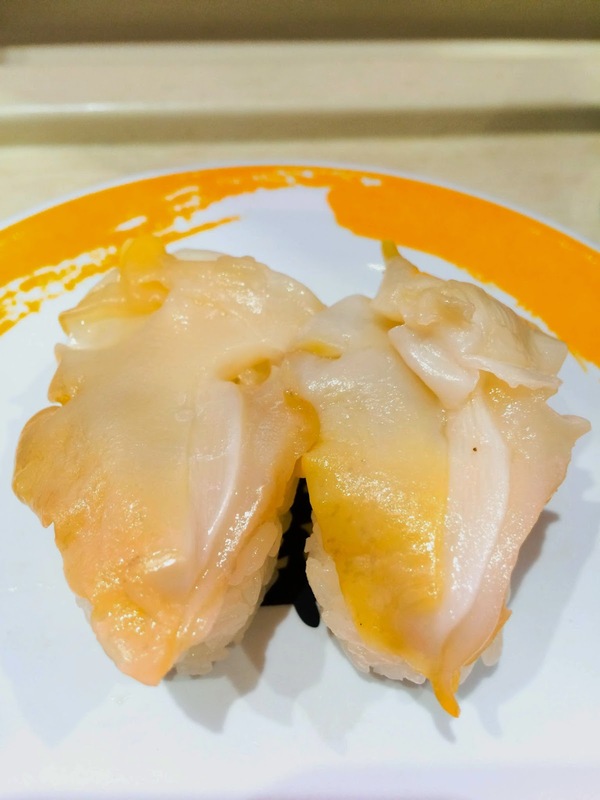 If you plan on visiting a cheap, no frills sushi train restaurant in Tokyo, I’d recommend Genki Sushi. 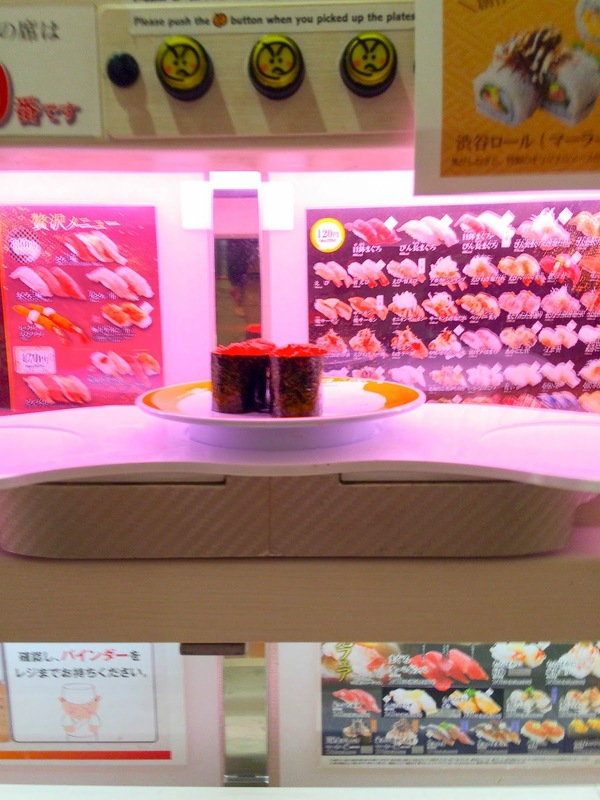 hehe i was endlessly amused at the sushi train that whooshed to you!